Do you adore animals? If so, we suggest you jump on the trend-wagon and make plans to include them in your wedding. Fact is, if you and/or your fiancee are “animal people” it stands to reason that you would want to include them in your special day. After all pets are part of the family – so they should take part in your wedding where all your favorite people are gathered. It might be a bit more work and take a little extra planning, but including your beloved pet will take your wedding to the next level. And folks, these special wedding additions are super popular this year. So many weddings are incorporating furry friends in tons of creative ways! Maybe you’ve been in love with horses since you were a little girl. Conversely, could you possibly be described as a “crazy cat lady”? Maybe his best friend is his Standard Poodle. Or you have a beloved French Bulldog. Add them to the mix on your wedding. Dogs make terrific ring-bearers and sign holders. Plus dogs are great fun ambassadors for your guests (and you!). Donkeys, aplacas and llamas….oh my! Mtn Peaks Therapy Llamas and Alpacas has adorable rentals! Perhaps you just want some darling, fuzzy friends for everyone to enjoy. Up the cute factor by adding floral crowns or garlands. Awwww, we don’t know which is more adorable; the baby deer, the fuzz-bun or the super-sweet dog! Perhaps he’s always been fascinated with giraffes, or monkeys, or….. elephants!!! An elephant with the bride and groom is pretty exciting. This guy might just steal the show. And, talk about some extraordinary wedding pics!!! If you are wondering where you can find less traditional animals, do a quick google search to find a company that services your area. Suggested searches: “rent farm animals, ” “exotic animals for your party,” “mini petting zoo rental,” etc. To us, more is always more, so we love that this set-up includes so many sweet animals AND a princess! We discovered Joel Slaven’s Professional Animals Inc located in Florida by searching online. Slaven’s can tailor their wedding packages just for you. You can select the animals that will be in attendance or you can even create a theme, such as Australian or African animals. With packages starting at just $500, this is a budget friendly dream. Their professionally trained animals will be handled by trainers who will engage your wedding guests and give them a once in a lifetime experience. Whether you would like a flock of doves released during your ceremony or you would like to add something special to your cocktail hour, Joel Slaven’s Professional Animals can deliver! 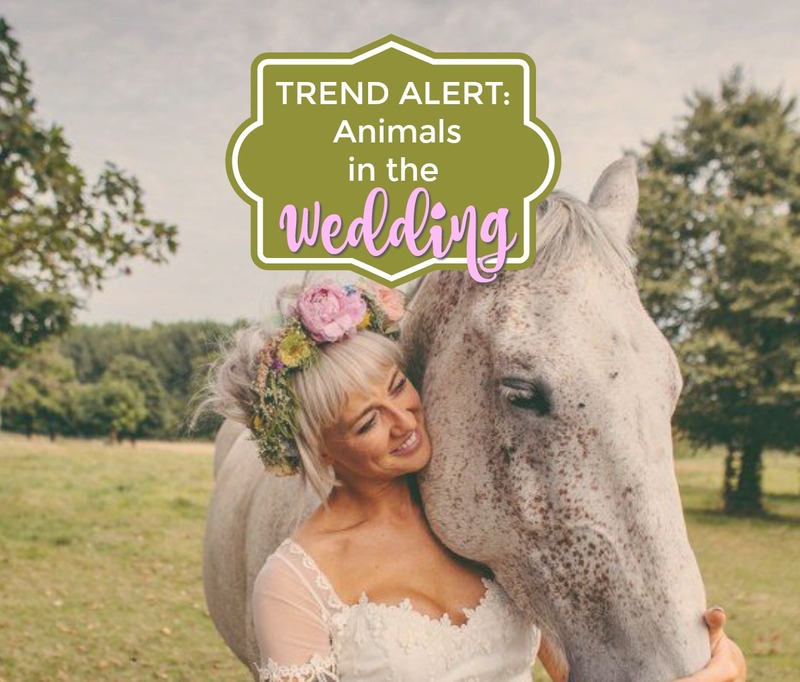 No matter how you choose to include animals in your wedding, they are sure to add even more love and fun to your event.